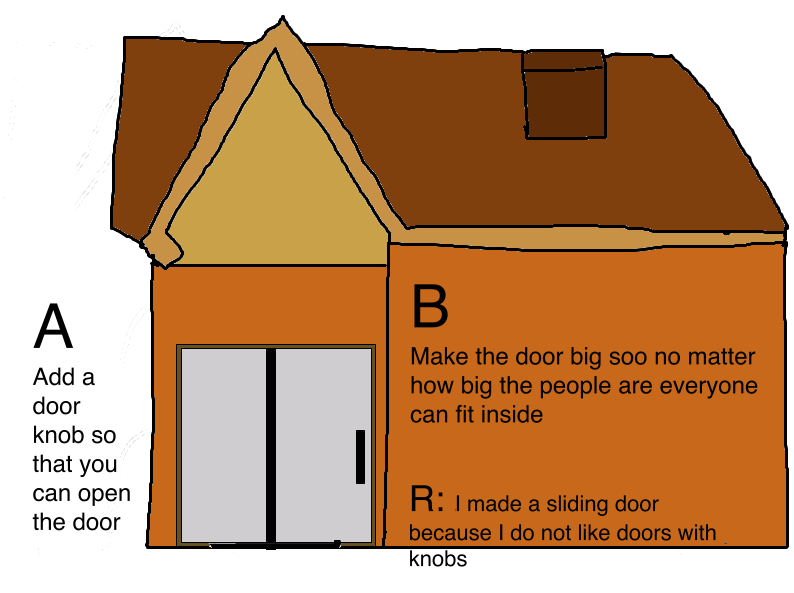 Today in Extension Mrs Tele'a gave us a task to draw a house. When we finish drawing our houses we had to rotate clockwise and we had to make something Bigger Add something or Replace. BAR. Here is my house. Cool house you have there. One thing I did was add a door know so that you could actually open the door and for protection.